If you are injured at work, you may assume that your injuries will be covered under workers’ compensation. While many injured workers do receive workers’ compensation benefits, not all employers have to have insurance. Each state is different, and there are some exceptions in New York. If an employer is required to have workers’ compensation insurance, they must be in compliance with the law at any time they have employees. Otherwise, they could face penalties of $2,000 per 10-day period, plus the actual cost of the injured employee’s medical bills, which could amount to tens or even hundreds of thousands of dollars. Employers that do not have a workers’ compensation policy must be able to prove they are exempt from coverage. So what types of businesses are exempt? It depends on the people working for the company and whether or not they are classified as employees. Who is Exempt From Workers’ Compensation? Volunteers for nonprofit organizations, unless they receive some form of compensation. Repayment for expenses incurred is not considered compensation, but room and board, stipends and monetary perks are considered compensation. Licensed priests, ministers, rabbis and other members of religious orders. Those solely performing teaching duties in an educational, charitable or religious institution. Those who perform work duties and receive charitable aid in exchange. Those covered under a different type of workers’ compensation system, such as federal government employees, railroad employees and maritime workers. Those doing yard work or casual chores for pay, although those operating power-driven machinery must have workers’ compensation coverage. While companies do have to have workers’ compensation coverage on employees, they do not have to abide by labor laws if they have independent contractors. So what’s the difference? Both can be hired to do the same work. However, employees must have taxes deducted from their pay. Independent contractors pay their own taxes and are not subject to labor laws. Other than that, the line between an employee and independent contractor can be fuzzy. Each state has ways of determining whether or not a worker should be classified as an employee. For the most part, the independent contractor should have control over his or her schedule and how the work is completed. If the employer requires work during certain hours, provides equipment for the worker and controls how the work is done, then this indicates an employee-employer relationship. 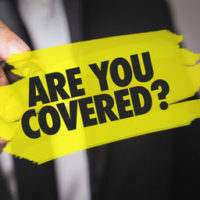 The law can be confusing when it comes to determining whether or not you are covered under workers’ compensation laws. If you are involved in a workplace accident, your employer should be able to advise you of your next steps. However, if you need help filing your claim or have questions about the process, get help from the Law Office of Michael Lawrence Varon. He has experience handling a variety of workers’ compensation claims and is familiar with New York laws. Contact his office at 914-294-2145 to schedule a complimentary consultation.